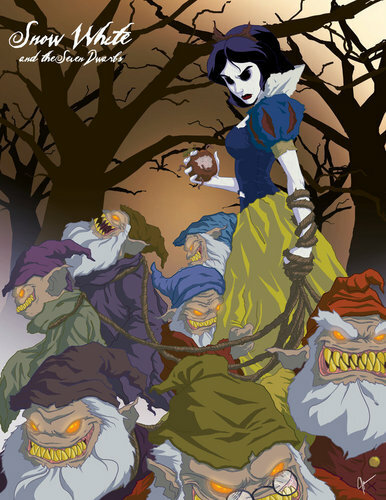 Twisted Princess: Snow White. From a series of twisted princess-style drawings. HD Wallpaper and background images in the Snow White club tagged: twisted princess fan art series snow white dwarfs rotten apple rope. What the... Why turn this into a monster movie? The artist wanted to draw a series in which the Disney princesses looked "creepy."